1. Adult drivers, usually women and with no visible children or grandchildren in the car, who travel with stuffed animals filling their back windshield. 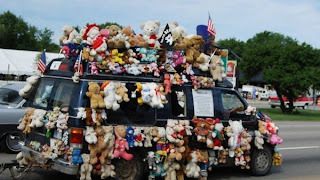 Usually a Buick or other large older sedan, collections tend to include Beanie Babies, Pooh characters and Care Bears. Often car is affixed with cat or dog friendly bumper stickers. "I heart my Yorkie." or "You say "cat lady" like it's a bad thing!" 2. People who wear shorts or flip flops when the weather is decidedly cold. I don't mean 60. I mean below 45. 3. People who let their children touch everything they see. Pick up, throw, fondle, lay their wet snot covered sippy cup right on my white, crisp table cloths so their hands are free to throw my jewelry. And then those same parents look at me with anger when I ask their children to not touch my belongings. You are parenting at an art/craft show, this kind of thing is not unexpected. Come on. 4. Older (60+) women with large, natural breasts who do not wear bras in public. How is that comfortable, ma'am? And no, that large Halloween sweatshirt doesn't camouflage them. 5. Angry, judgmental political bumper stickers. Because, of course, the back of your car is the place I go to for information when making a difficult decision. 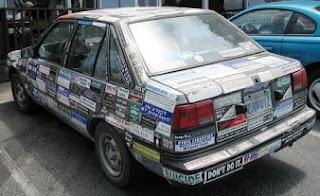 The ideal place for a reasoned and informed ethical discussion, the back of your 1994 Tempo. 6. People who don't rake or at least mow their leaves in the fall. This is the perfect opportunity to let peer pressure do it's job. All your neighbors have raked and mowed, all the cool kids are doing it, why don't you try it? Everyone will like you if you do it. 9. Why my dog won't go outside when I try to put him out, but the minute I sit down to check my email he scratches on the door. 10. 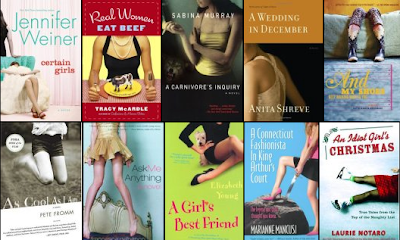 The fact that all chick lit books seem to have some kind of high-heeled shoe on the cover. This is the only way you feel you can market your book to the ladies? Shoes, dresses, pink or something floral? 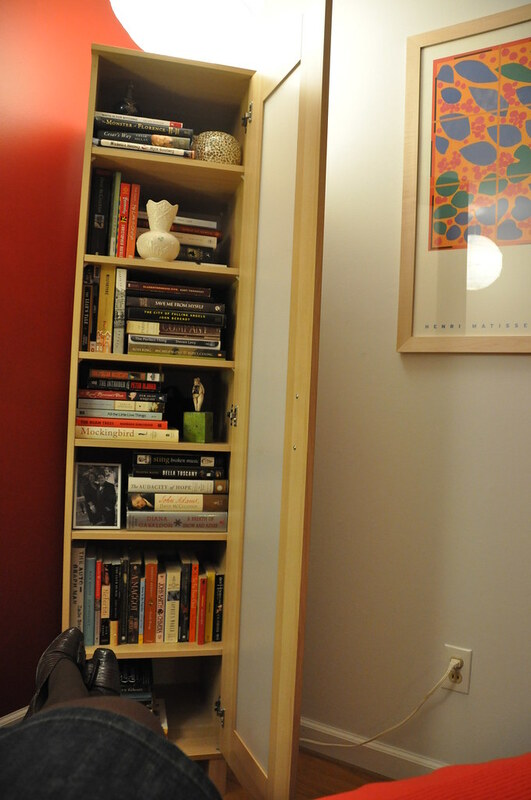 This actually doesn't perplex me it just makes me sad, and much less likely to buy/check out/read your novel. Yeah, I'm beat. I normally feel like a pretty positive and energetic person, by no means peppy or hyper but just able to get done what I need to and usually enjoy myself as I do it. But I think I've hit my limit over the last few weeks. Lots of family stuff, work is busy, too many jewelry shows and jewelry projects, and I think it's the combination of work, weekend shows (the time when I usually recharge) and the emotional family health stuff that's really taking it out of me. And of course, stupidly, the first thing I let slide with everything else going on is diet and exercise. So instead of treating my body with extra care during all the stress, I treat it like it's still 20 years old. Yeah, I'm 34 and I don't bounce back quite like I used to. So this week, another busy busy one, I'm going to prioritize and put the health bit back on top. I need to, I really need to. And for some reason I feel like a weakling for being tired. Other people seem to be able to handle a lot of stress and chaos, certainly a hell of a lot better than I do. But again, comparing myself to other people, probably not helping me feel better. 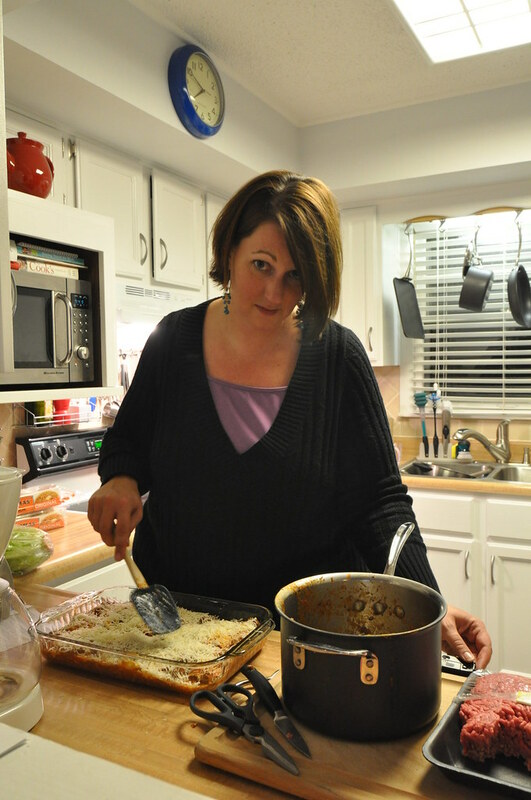 Why do we, women especially, treat ourselves so poorly sometimes? Why do I let the voice in my own head talk to me so cruelly sometimes, when I would never speak that way to a friend? Why don't I take my own good advice? Ok, I'm going to bed, and I'm sleeping in tomorrow. Wuss. 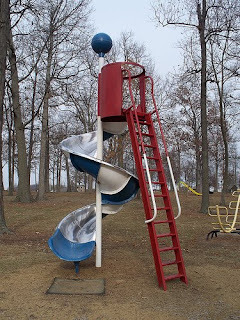 When I was about seven we had this piece of jungle gym equipment at my elementary school that was just a metal gate. And yet it was very popular. You had to wait in line to get on this little beast. 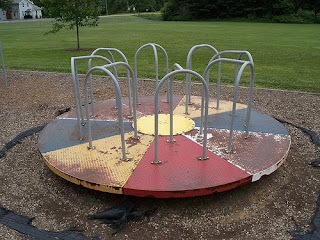 It was about waist high, anchored on one end so it could spin around kind of like a merry-go-round for one person. We would position one foot on the gate, hold on tight and then push off with the other foot to get up some serious speed and then just spin and spin and spin. I loved that dizzy feeling when you finally slowed down. And I wanted to impress my friends, as they waited in line, with how fast I could go. Problem was I would get up so much speed that invariably I would lose control, go flying off onto the concrete and scrape up my elbows. If this happened once or twice that might be normal seven year old behavior, maybe you would learn a lesson and slow down or go pretend to know how to play tetherball or four square. Not me. I flew off that stupid gate and scraped up my bony elbows 15 or 20 days in a row, ripping off barely hardened scabs every time. My teacher finally had to intervene and forbid me from climbing on that gate until my elbows healed properly. I couldn't find a photo of the evil gate, but this reminded me of all the equipment we played on growing up in the 80's. From this talented guy's flickr stream. I'm twelve years old and my parents take my little brother and me on a little weekend getaway to the Ozarks. One of our last family trips before my parents got divorced. Silver Dollar City, the Passion Play, several cheesy carnival rides and games, and the one I was most looking forward to, BUMPER BOATS!! Like bumper cars on water, driving my own boat, permission to violently run into other people, yes!! 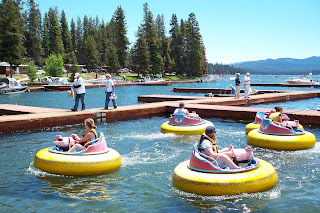 I enjoyed my 10 minutes of bumper boat action, tooling along in the small pond of water crowded with many other preteens trying to crash and knock each other around. My time was up, I steered my way to the side, the last kid to get out since I wanted my maximum time on the water. I pulled up to the ladder where I needed to dock the boat, reached up for the hand of the teenage attendant who was positioned to assist me as I deboarded my boat and exactly at that moment, the teenage attendant looked away, turned to talk to someone behind him, missed my reaching hand, and I plunged into the water, waist deep and soaked. So this is a bit of a problem. Not only am I wet and humiliated, standing waist deep in a pond of dyed blue theme park water, the cute boy attendant is vaguely apologetic, while laughing hysterically, but worse than that we were about two hours away from our hotel and a change of clothes. We had tickets to a show that started in about two hours. So no time to get back to the hotel, no dry clothes in sight, no chance to avoid more humiliation in my wet pleated acid washed jean shorts. What solution did my parents come up with? Let's go to the laundromat and dry your clothes. Ok, that's a reasonable solution, but I ended up sitting in the back seat of our station wagon for 45 minutes wrapped in an itchy blanket scavenged from our trunk, wearing nothing below the waist. I'm twelve years old and couldn't be more embarrassed if I were sitting completely naked in the backseat. I could have sworn that everyone walking past our car knew that I was naked below the waist, because the world revolves around every 12 year old girl. I've not really been blogging much this week because I'm trying something new, taking more photos! 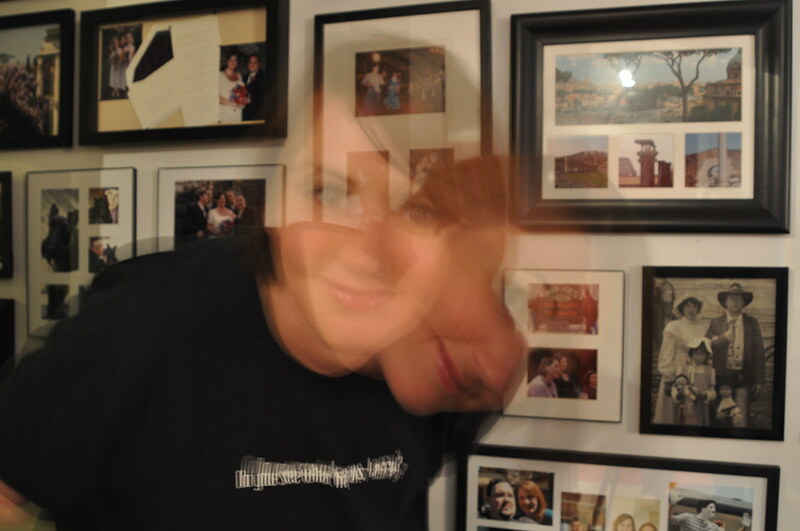 I've been doing the 7 Days group project on Flickr, and man, taking one self portrait a day is a challenge. When my friend Bethany talked about it, and when my husband Joe participated last time, it sounded like fun but not that challenging. 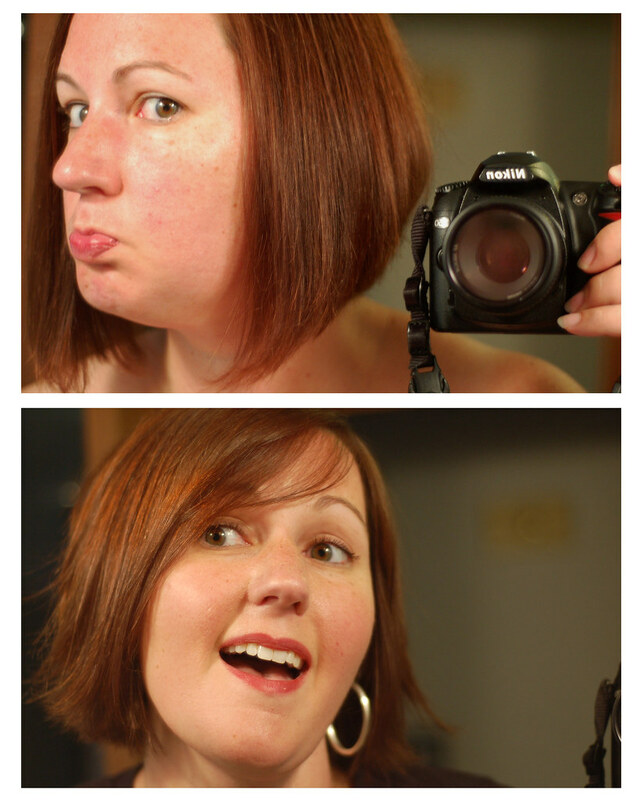 How hard can it be to take a picture of yourself each day? Well, after 6 days of it, it's much harder than I thought it would be. Conjuring up creative ideas when I'm flipping through the work of hundreds of other photographers, talented, brilliant, skilled photographers. Then the whole process of shooting so I have some choices, figuring out how to make the photo look like it does in my head, and even just the basics of uploading and getting is situated on Flickr. All new things to me! First of all I'm not the kind of person who takes a lot of pictures of myself. I don't hate it when other people do, I just don't myself. Joe is the photographer in our house. And though I took a couple of photography classes in high school I do not have the technical proficiency that I really need with our digital camera. And my serious sense of feeling awkward and uncomfortable when trying something new, (I hate it when I feel like I can't do something well) made me actually nervous about diving into this project. But you know what? It's actually been good for me. I stopped overthinking and just did it. What, she stopped overthinking? I know! Sounds impossible, but it's actually fun and spontaneous. And some of my favorite photos have been exactly that. I stopped worrying about whether the photos were perfect or fascinating or interesting enough. I figured I'm doing this for the challenge and the experience, so who cares if the photos are exactly what I thought they would be? I've liked most of them so far. And I think I'll actually end up taking a lot more photos because of it. This week has been pretty insane at work, but the 7 days project has been a great stress reliever. Who knew? I guess I've got a new hobby, let's add it to the list. This weekend was pretty fantastic, as most of our weekend trips up to Omaha tend to be. Most of Joe's family lives in Omaha so we try to get up there every six weeks or so for a visit. This visit was particularly packed with out of town visitors, dramatic stories involving the silent treatment and a passport, craft show action, food, babies, more food, a hell of a lot of pink and a little light exercise. Aunt Suzy stopped on her drive back to Pennsylvania from Alaska, brother Jim and his wife Katy hauled down from Madison with big boy Connor and the adorable chunkster baby Jackson. Aunt Nancy came in from Ohio, and of course all the Omaha relatives, grandparents, aunts and friends. 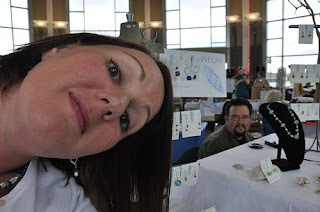 Saturday was my all day craft show, again, a great time to participate in my favorite sport, people watching and chatting with customers. Dinner out without kids that night, and a large blue Cancun Margarita, tacky but delicious. 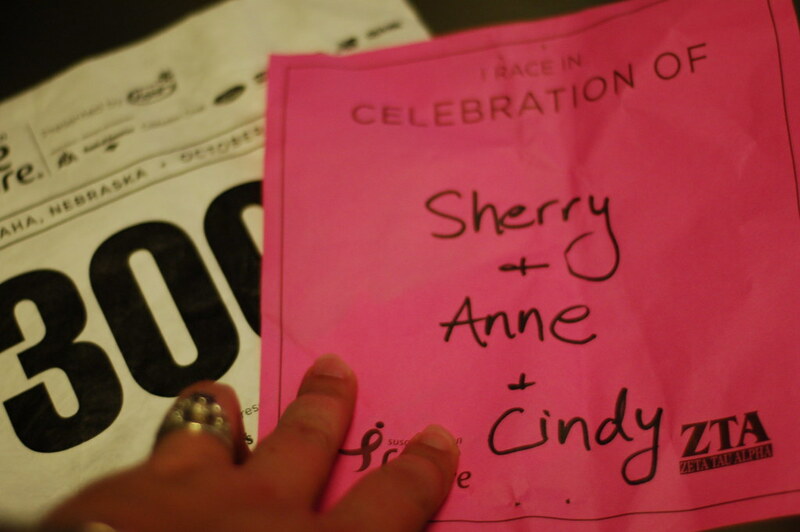 And then the Sherry support crew (my wonderful mother in law, a 16 year breast cancer survivor! ), along with another 20,000 people, woke up early, made our way downtown and lined up to walk/run 3.2 miles for breast cancer research. Pink was everywhere, Save 2nd base, Save the Coconuts, Save the Ta-Ta's t-shirts were prevalent, along with the most cheerful, friendly, and pink bedecked crowd I've ever seen. It was a stellar weekend. But I'm tired and not really in the mood to write much today. So I'm going to go eat a grilled cheese sandwich and watch Mad Men in my pj's. A perfect Monday night. A friend on Facebook posted this quote today and when I read it I felt like someone was pointing right at my face and saying, "Read this, do this." It was a happy coincidence/synchronicity/God, whatever you believe, it was exactly what I needed to read right at that moment. Though I'm really not sure how you actually live that quote on a daily basis. I love great quotes. I've always been the kind of nerd to collect them and write them in blank books that I want to journal in, for about three days, before I lose interest. (Blog title straight from pilfered quote) Either way, I love a good quote and today someone was aiming this one right at me. I've been struggling with some family issues that aren't new, but seem to have amplified and hastened my involvement over the summer and in the last few weeks. These are issues of addiction, mental and physical health, and self sufficiency. Issues involving some family members whom I dearly love and enjoy being around, but sadly don't understand about 80% of the time. 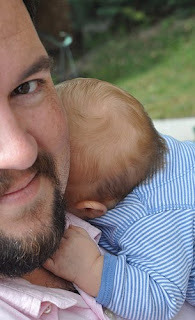 And more than anything I struggle with maintaining some sense of emotional separation or distance from these loved ones. When they hurt me or themselves I want to talk about it with them, analyze their behavior, discuss better ways they could deal with their problems, basically give what I think is pretty solid advice. But that's not what they want from me. They don't want a lecture. They just want someone to listen to them. And I don't blame them. But as the cousin, sister, daughter, whatever, I just want to help them figure out how to fix it, take action, do something. My tendency to be a bit blunt and straightforward ends up hurting them. And frankly maybe they need to be hurt sometimes. I'm not socking anyone in the nose, but maybe having someone tell you the truth is painful, especially when you don't want to hear it. I know it has been for me in the past. But I can't help but feel that if only they could hear what I'm saying, do something different, their lives might be easier and brighter. I've been told that my expectations of other people are too high, I don't understand what they are going through, and no one has a perfect life. And all of these things are probably true. More importantly even if my opinion and advice is right, I can't do anything to change people. I need to type that again so I hear myself, I can't do anything to change people. They can only do it for themselves. I have my own struggles, my life's not perfect, my choices aren't always stellar. And this is one of those struggles, and I'm guessing some of my readers' struggle as well. How to be a loving friend, daughter, sister, cousin of someone with an addiction or mental illness and not be enabling, not holding your tongue when something needs to be said, but also not being the boring, preachy, holier than thou lecturer. I don't know how to do this yet. I'm trying though, really I am.